We’re proud to announce a new retail partnership with ebay and the launch of our new ebay store. Same great watches, same fast and free shipping, whole new way to shop. 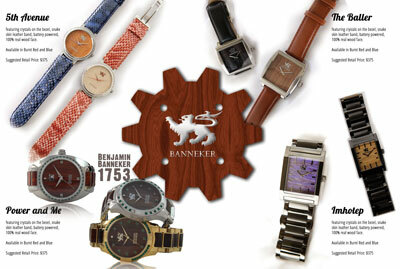 Everything you love about Banneker one-of-a-kind wood watches and the convenience of ebay – Buy Now – Banneker Watches on Ebay.